ISSN=1798-1964. 1st quarter 2018, Appendix figure 1. 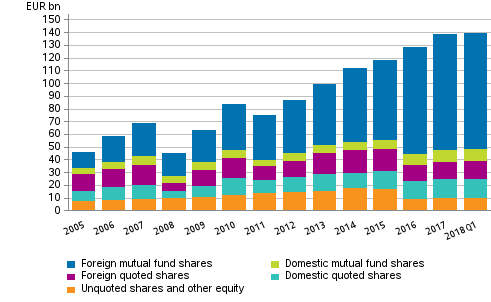 Shares and other equity held by employment pension schemes . Helsinki: Statistics Finland [referred: 23.4.2019].